New York (June 14, 2016)—On September 22, 2016, Neue Galerie New York will open "Klimt and the Women of Vienna’s Golden Age, 1900-1918," an exhibition that examines the artist’s sensual portraits of women as the embodiment of fin-de-siècle Vienna. The show is organized by Klimt scholar Dr. Tobias G. Natter, author of numerous publications about Gustav Klimt and the art of Vienna 1900, including the indispensable catalogue raisonnée of Klimt’s paintings, published in 2012. The Neue Galerie is the sole venue for the exhibition, which will be on view through January 16, 2017. The exhibition will include approximately 12 paintings, 40 drawings, 40 works of decorative art, and vintage photographs of Klimt, drawn from public and private collections worldwide. Central to the exhibition will be the display of Portrait of Adele Bloch-Bauer I (1907) and Portrait of Adele Bloch-Bauer II (1912), which will be shown side-by-side for the first time since 2006. 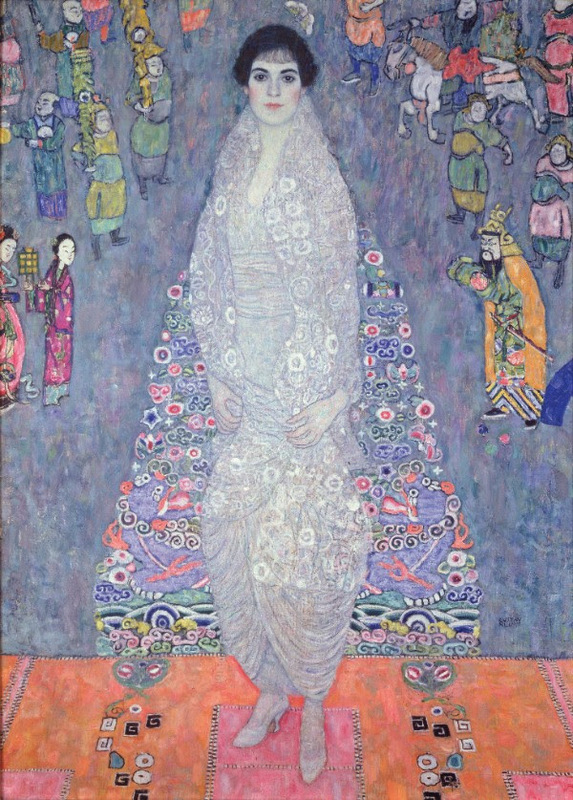 Adele Bloch-Bauer was an important Klimt patron and notably, the only subject the artist ever painted twice in full length. The influence of fashion design among society women in fin-de-siècle Vienna will also play a key role in the installation. Shanghai-based artist and designer Han Feng has been commissioned to create three one-of-a-kind fashion ensembles inspired by prevailing styles of artistic reform dress and the designs of Emilie Flöge, an important Viennese fashion designer and Klimt’s muse. Special hats and style accessories by paper artist Brett McCormack will also adorn full-scale mannequins located throughout the show. Gustav Klimt (1862-1918) was a central figure in the cultural life of Vienna at the turn of the twentieth century, and provided a crucial link between nineteenth-century Symbolism and the beginning of Modernism. Klimt’s iconic Portrait of Adele Bloch-Bauer I (1907), on permanent display at the Neue Galerie, will be accompanied by a significant group of preparatory drawings for the painting, which he created beginning in 1903. The show will include a unique historical reproduction (1951) of the mid-sixth century mosaic of Empress Theodora from the Basilica of San Vitale in Ravenna, Italy, which provided Klimt with an important point of inspiration for the first portrait of his patron Adele Bloch-Bauer. A fully-illustrated catalogue, published by Prestel Verlag, will accompany the exhibition featuring contributions by leading scholars in the field, including Marian Bisanz-Prakken, Emily Braun, Carl Kraus, Jill Lloyd, Tobias G. Natter, Ernst Ploil, Elisabeth Schmuttermeier, Janis Staggs, Angela Völker, and Christian Witt-Dörring. I am such a lover of the Neue Galerie and Cafe Sabarsky. This would be a wonderful exhibit to see and be totally amazed! If you are in the city while this is open, I would highly suggest you visit!